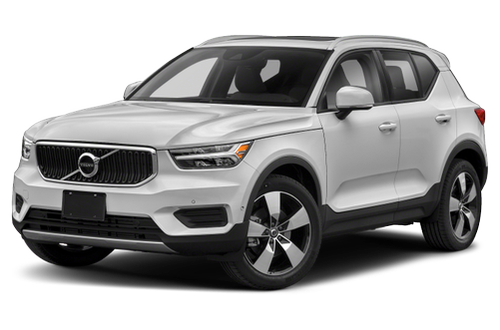 Have You Driven the 2019 Volvo XC40? WE wanted and love this car!!! We love this car. WE have owned Volvos for 35 years. WE had one that had over 400,000 miles. Wish we could have sat in on some of the design areas for the car. Everything works and generally works well but with everything on a computer, the learning curve may be interesting(?) and getting to the information is not always easily intuitive. Not good or bad, just a bit different. That being said, this is the car we wanted and we had looked at more than six different vehicles in the same class. Turbo-charged 4 cylinders have plenty of power, good gas mileage, roomy rear storage, handsome exterior, AWD, sophisticated electronics including voice control, front/side/rear sensors warn & stop car. Best purchase of my life to date. This brand new model lived up to all the hype. I couldn’t be more satisfied with the vehicle itself and the buying process from Princeton Volvo. I ordered the car before it even enter the market and so far it is the best choice I have made. The quality and the styling are both above all expectations! This car drives so smoothly and hugs the road. I love the way it handles . It's stylish and meets my needs exactly. Good acceleration and fuel efficient. Just love it! It had been a while since I have used the word "love" in regards to a vehicle. I had a CRV for 16 years and loved it. I finally sold it and purchased a RAV 4 and then Highlander. The Highlander was simply too big for me. I researched and looked at a new CRV but had read about some potential oil/gas engine mixing issues, a Forester and a Mazda. I saw the XC40 on a commercial and was smitten by the look of it but didn't entertain the idea of looking at one for about 2 months. The XC40 looked different than the other vehicles I'd seen and the slightly boxy look caught my eye. Never owned or looked at a Volvo before. My T5 has more than enough power and I don't feel the hesitation or slight vibration I felt when test driving other similar powered engines and has excellent response. The interior is uncluttered, fairly quiet, nicely put together and simple.... and I mean simple as a positive. I like the tablet type controls. The ride is very, very comfortable. Cargo space is ample for me and if I need additional room, I let the rear seats down with a simple touch. My current gas mileage is 28.5 miles/gallon and has been for almost 2 months. It seemed to have taken a bit for it to level out. I am proud to drive this vehicle and feel that the safety features are a definite plus. I know it is a new endeavor for Volvo and myself with this brand but not only the look but the feel of the driving experience has brought a little excitement back into my commutes. Great car overall and I love it. I love it. Compact SUV, excellent performance and very good gas consumption, quiet engine, very nice interior and comfortable. Two things I wish were different are the radio reception being only HD which makes reception of a distant station of lower quality and the seats on the R-design are made of corduroy or similar material that emits unpleasant smell when wet (rainy days). Not sure why they didn't choose leather. Otherwise a great car. The test drive that changed my life! My New XC40 is a drivers car. I love the tight turns, overall performance,safety features, large center screen, dashboard navigation, appleplay, options to change dashboard lighting color, the hook on the glove compartment to hold my hand bag or light bag of groceries so they don’t spill all over. It’s a quiet ride and handles the curves of the mountain I drive on like a dream. No regrets. The XC40 is a beautiful SUV. Lots of technology. It drive very nice. It is pretty quick considering it is a 4 cylinder. The new controls take some getting use to. There is a lot of technology packed in this car. The XC40 is a stylish, fun-to-drive subcompact that packs the utility of a bigger SUV. The XC40 offers distinctive looks and competitive luxury and technology — all with more practicality than many luxury subcompacts. The 2019 XC40, Volvo's new small SUV, takes aim at urban and younger buyers with a technical, even cute design and impressive attention to detail. It will do battle with established luxury subcompact SUVs like the Audi Q3, BMW X1 and Mercedes-Benz GLA-Class. The XC40 is no lightweight compared with Volvo's well-regarded bigger SUVs (except in actual weight): It offers most of the multimedia and safety tech brainpower of the compact XC60 and the mid-size three-row XC90, Cars.com's Best of 2016 winner. But it comes in a tidier, city-size package that's almost a foot shorter and priced about $6,000 lower than a comparable XC60.